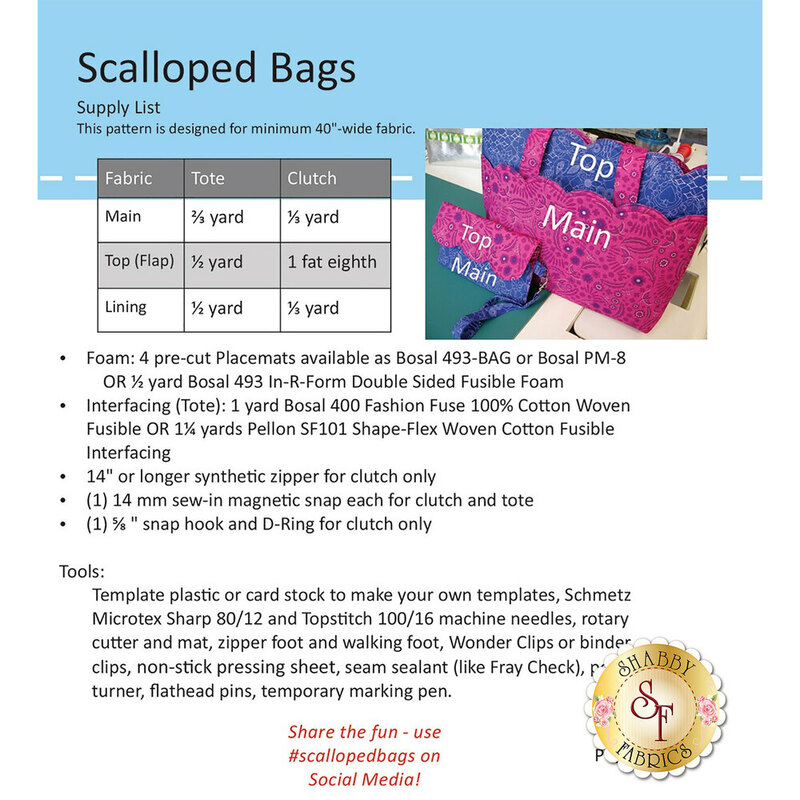 From Poorhouse Quilt Designs comes the Scalloped Bags pattern! 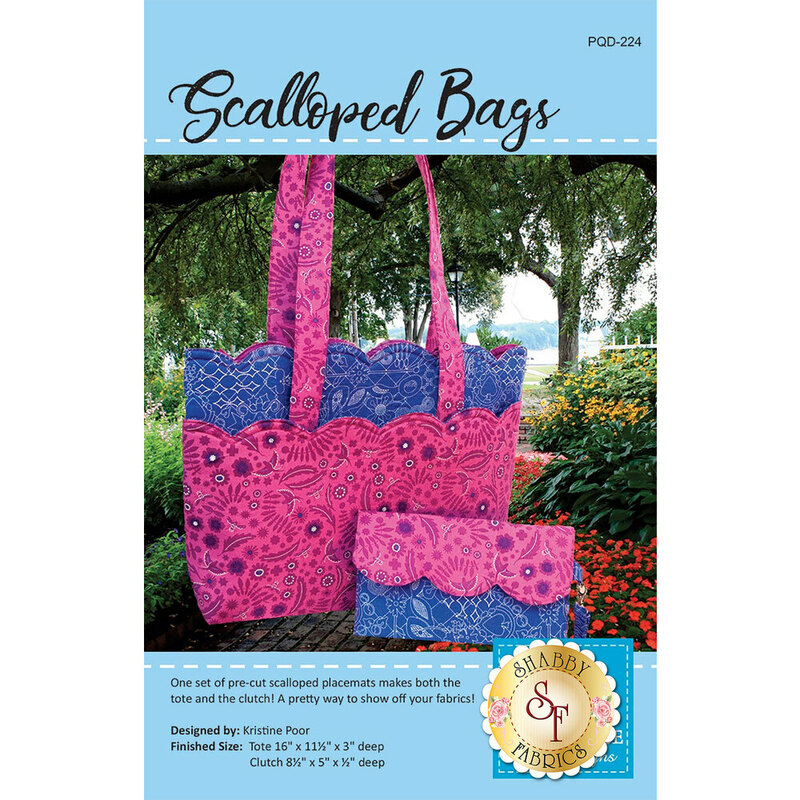 This fun to make bag features sweet scalloped edges and a coordinating clutch - perfect to give as gifts! Tote measures 16" x 11½" x 3", and the clutch measures 8½" x 5" x 1/2".